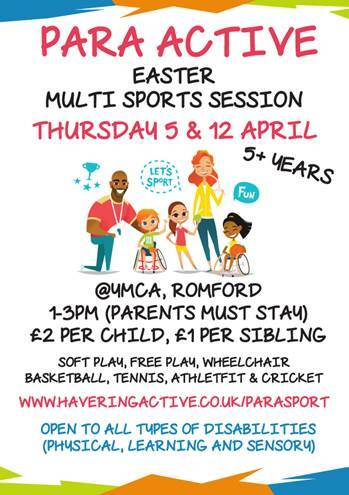 Activities to include Tennis, Boccia, Table Cricket, Soft Play, Arts and Crafts and much more. £3.00 per child, parents to stay, all equipment supplied. No need to book just turn up.